Even if it's not a new model, the HTC Desire is still a very good Android device, thanks to its 1Ghz CPU and 512 Mb RAM, but one of the biggest problems of this phone is that it comes with only 148Mb available in the ROM. Once the operating system is installed (ROM I mean), after installing few useful applications you'll end the available space very soon. There are many apps available, like App2SD that move your applications to the SD card, but it's not enough because only the application is moved, not the data. To move the data to the SD card, there is a very nice utility called Data2SD. Please note that this procedure requires you to reflash your device and partition your SD card, so please do a complete backup before proceding. Open GParted on your Ubuntu Linux or use the GParted Live CD/USB. Create the first one using FAT32 filesystem, leaving 2Gb (2047Mb) available at the end. Create a second partition using ext4 filesystem. Enter your Wifi settings, language ecc.... DO NOT enter your Google account settings. You now have 1,97Gb total space available instead of 148Mb. Enjoy your HTC Desire! 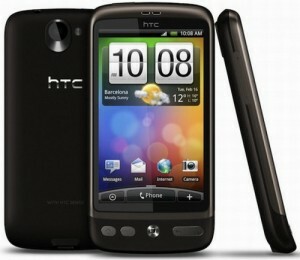 Update Aug 1, 2012: since December 2011 I don't have an HTC Desire anymore. These informations could be still valid but in any other case I don't have the possibility to help you more.